The organization of Peace Methodist Church began in the spring of 1957 at the home of Mahlon & Euphemia Miller. In June of 1957, the congregation began holding services above the Isaly’s store at 109 East Main Street with James Heckathorne from the New Franklin Methodist Church serving as pastor. On October 13, 1957, the charter service was held with 57 people in attendance. Around the year 1959, the church purchased five acres of land north of Louisville on State Route 44 (our current site) for $7,500. On November 6, 1960, ground was broken for the fellowship hall. 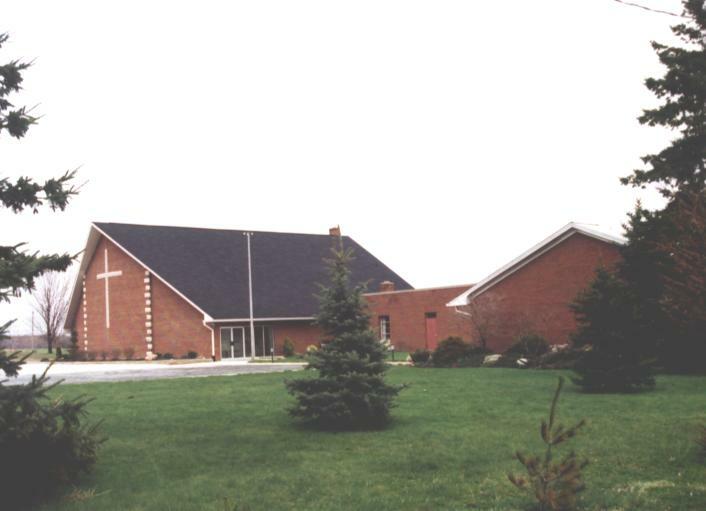 The first service was held in the new building on February 5, 1961 and dedication on the building was held on November 24, 1963. The cost of the building, with volunteer labor, came to only $20,000. Ground was broken for the second stage of the church, the education wing with 8 classrooms, on March 24, 1963. The education wing was opened on November 25, 1963. On April 23, 1968, The Evangelical United Brethren Church and The Methodist Church merged to become The United Methodist Church. The ground-breaking ceremony for the worship center was held on August 25, 1991. A wind storm during Holy Week of 1992 delayed the construction. Dedication on the sanctuary was held on April 30, 1995.